China Focus has prepared a series of articles about Xi’s Moments based on his “Two Sessions” Calendar. Let’s see what Xi has said during the joint panel discussions. 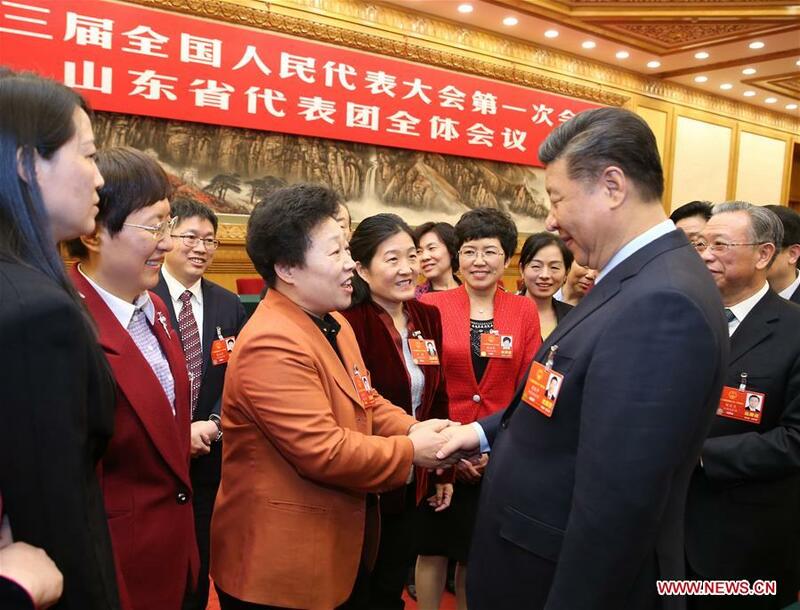 China’s Annual NPC and CPPCC Sessions opened in Beijing on March 3. 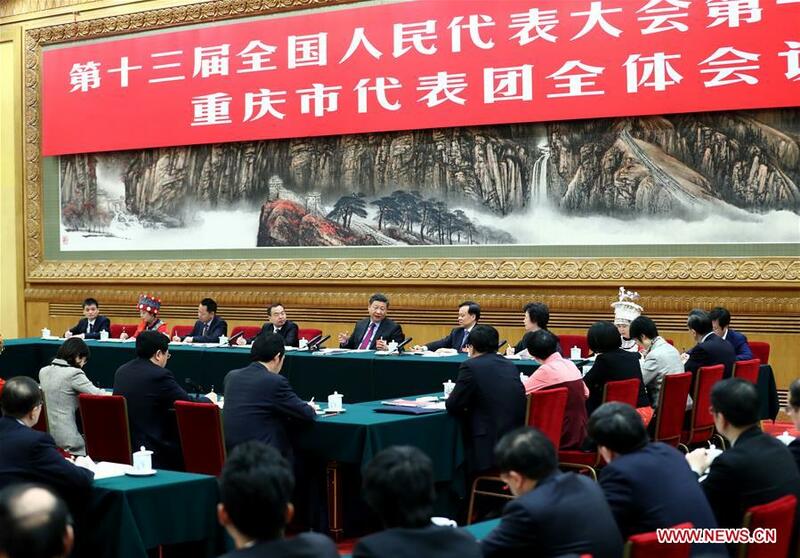 During the two sessions, President Xi Jinping joined panel discussions with deputies and political advisors. 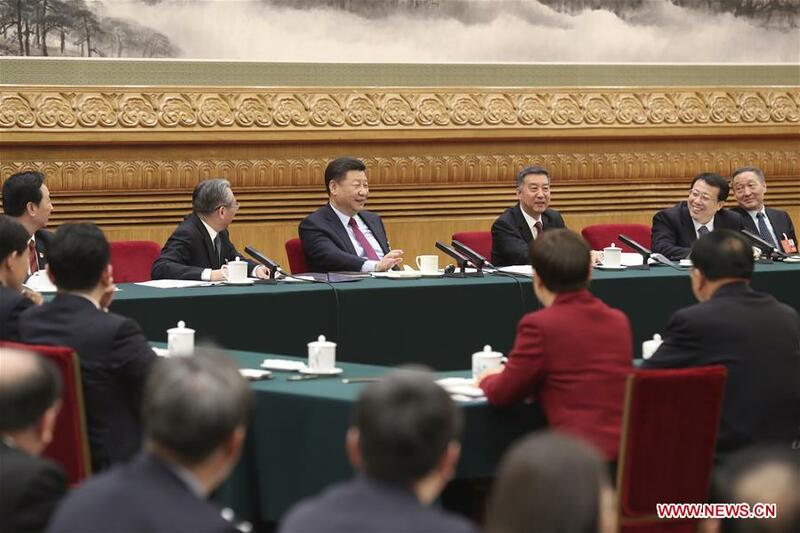 Xi listened carefully to their suggestions and exchanged views with them. 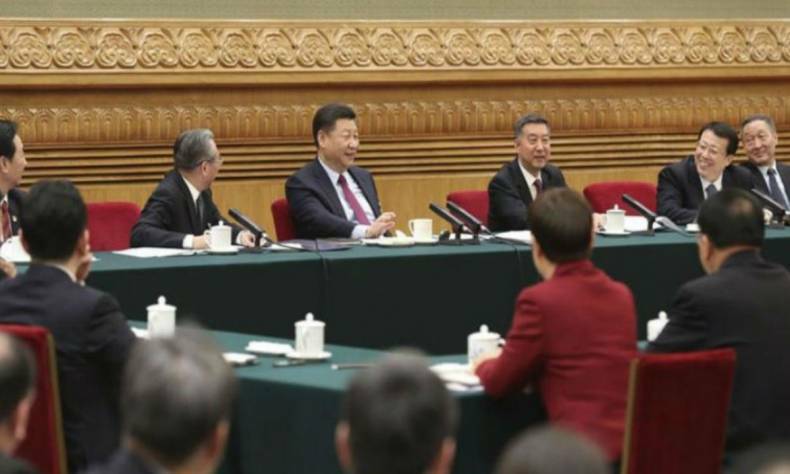 As of March 10, President Xi had attended joint panel discussions with political advisors from the China Democratic League and the China Zhi Gong Party, Inner Mongolia Autonomous Region, Guangdong Province, Shandong Province, and the municipality of Chongqing. 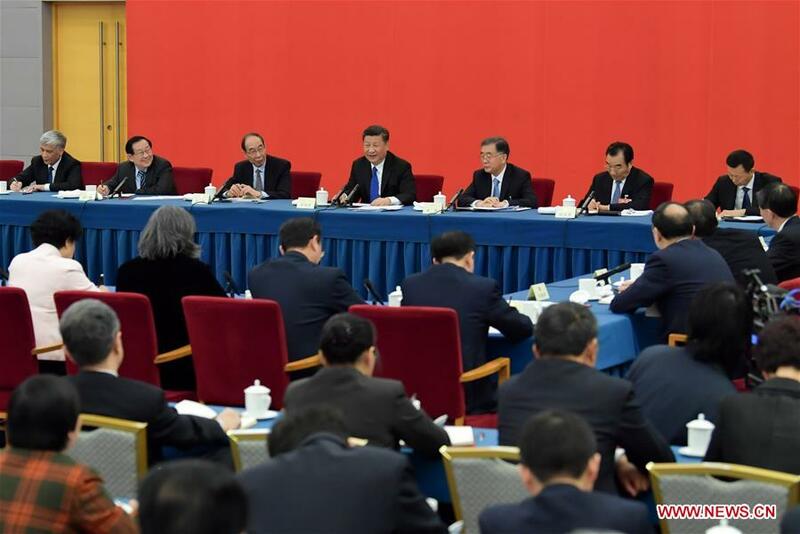 Xi attends a joint panel discussion with political advisors from the China Democratic League and the China Zhi Gong Party, those without party affiliation and those from the sector of returned overseas Chinese, at the first session of the 13th National Committee of the Chinese People’s Political Consultative Conference (CPPCC) in Beijing. 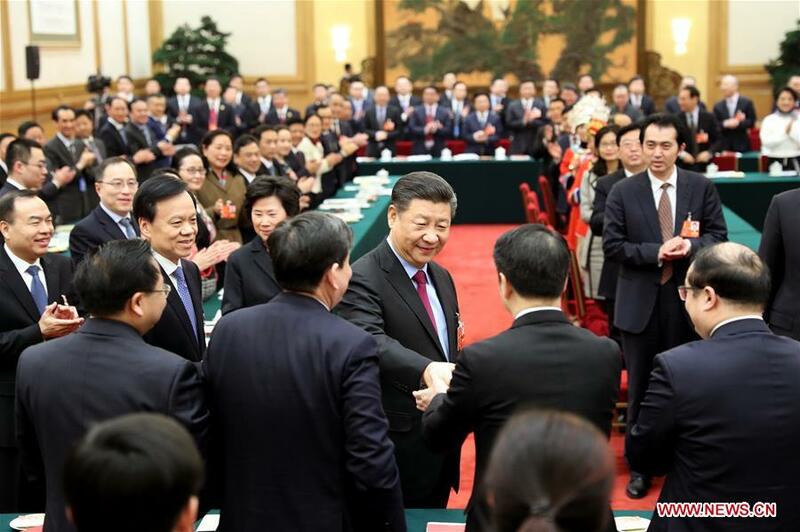 It is “a new type of party system growing from China’s soil,” said Xi when attending a joint panel discussion with political advisors from the China Democratic League and the China Zhi Gong Party, those without party affiliation and those from the sector of returned overseas Chinese, at the first session of the 13th National Committee of the CPPCC. Xi said the system is new because it combines Marxist political party theories with China’s reality, and truly, extensively and in the long term represents fundamental interests of all people and all ethnic groups and fulfills their aspiration, avoiding the defects of the old-fashioned party system which represents only a selective few or the vested interest. The Chinese system is new because it unites all political parties and people without party affiliation toward a common goal, effectively preventing the flaws of the absence of oversight in one-party rule, or power rotation and nasty competition among multiple political parties. It is new also because it pools ideas and suggestions through institutional, procedural, and standardized arrangements and develops a scientific and democratic decision making mechanism. The focus of high-quality economic development should be placed on transforming and upgrading industries. 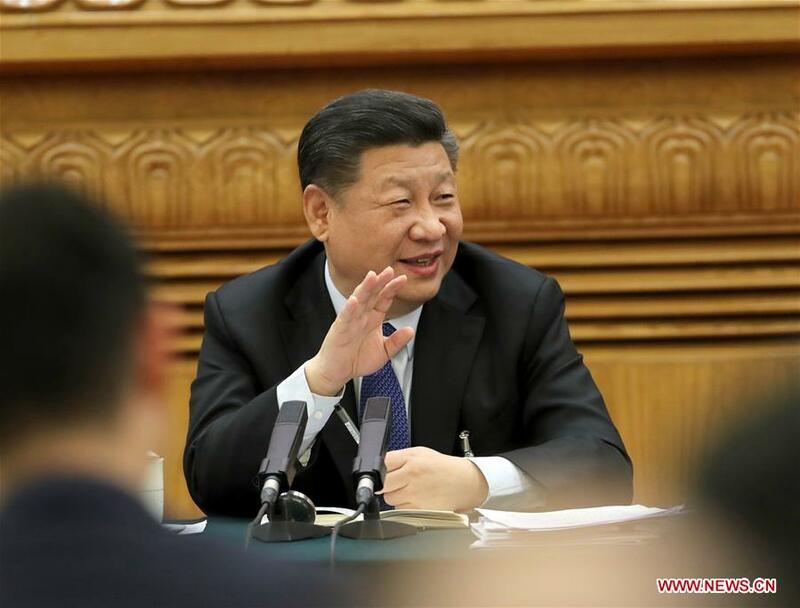 Efforts should be made to strengthen and improve the real economy, Xi said as he joined a panel discussion with the deputies from Inner Mongolia Autonomous Region at the first session of the 13th National People’s Congress. Chinese economy has transitioned from a phase of rapid growth to a stage of high-quality development, said Xi, warning that old ways of thinking might lead China almost nowhere and miss precious opportunities. 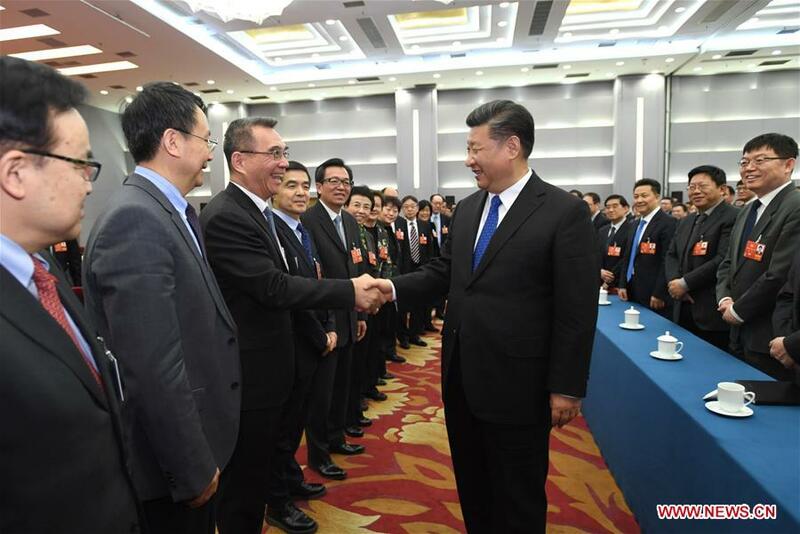 Local governments should build on their strengths and tap their potential to develop more emerging, high-end, high-value-added and capital-and-technology-intensive industries, putting in place a multi-dimension and multi-pillar modern industrial mix, Xi pointed out. The Inner Mongolia autonomous region should well develop the modern energy sector by following the latest global industrial trends. The energy sector’s industrial chain should be extended and utilization rate improved, according to Xi. President Xi Jinping highlighted development, human capital and innovation when joining deputies from south China’s Guangdong Province at the first session of the 13th National People’s Congress. Xi said that he totally endorsed the draft constitutional amendment, which is under deliberation at the national legislature. Revising part of the Constitution is a major decision made by the CPC Central Committee from the overall and strategic height of upholding and developing socialism with Chinese characteristics in the new era, Xi stressed. Hailing it a major move to advance law-based governance and modernize China’s system and capacity for governance, Xi said the drafting process of the bill has fully practiced democracy, pooled wisdom from various sectors and embodied the common will of the Party and the people. 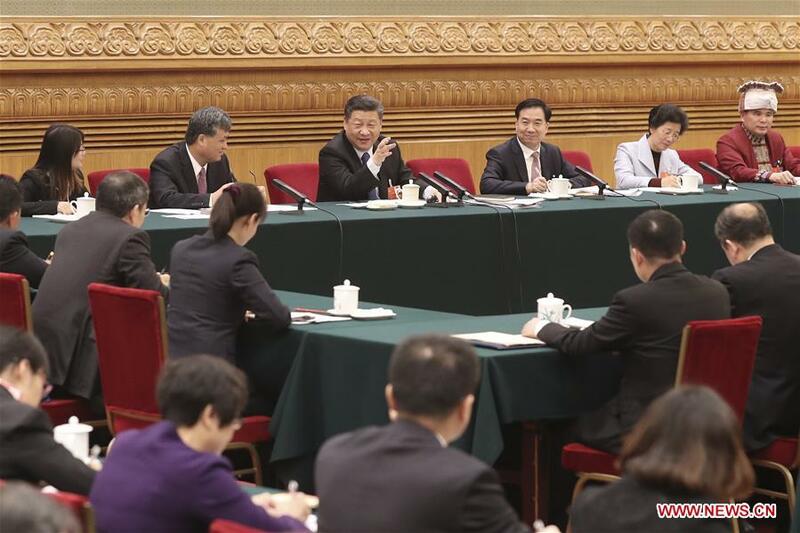 Xi also stressed economic restructuring, scientific innovation, opening-up and better governance. The country should attach more importance to the development of the real economy, and focus on strategic emerging industries such as information technology, high-end manufacturing, biotechnology, new material and maritime economy, while eliminating industries and enterprises with heavy pollution and emissions, he said. China welcomes top-notch scientists and technicians from home and abroad, and supports innovations of small and medium-sized enterprises, he said. President Xi Jinping said the rural vitalization strategy is the leading agenda for government work on agriculture, rural areas, and rural residents as he joined a panel discussion with deputies from east China’s Shandong Province at the first session of the 13th National People’s Congress. The quality of a moderately prosperous society and socialist modernization is determined by agricultural competitiveness, rural environment, and rural incomes, said Xi. Xi urged local authorities to reenergize rural industries, increase incomes of rural residents, alleviate poverty, and enrich rural life. China should push forward talent vitalization in rural areas, form a virtuous circle comprising of professionals, land, capital and industries, Xi said. Stressing cultural vitalization in rural areas, Xi said ideological and moral education as well as public cultural services should be strengthened in the countryside. The president underlined ecological vitalization and green development in rural areas. The three-year action plan to improve the rural living environment must be implemented, while the ongoing “toilet revolution” will be carried forward. He highlighted better governance and strengthened leadership of the CPC in rural regions to establish a modern administrative system for the rural society. 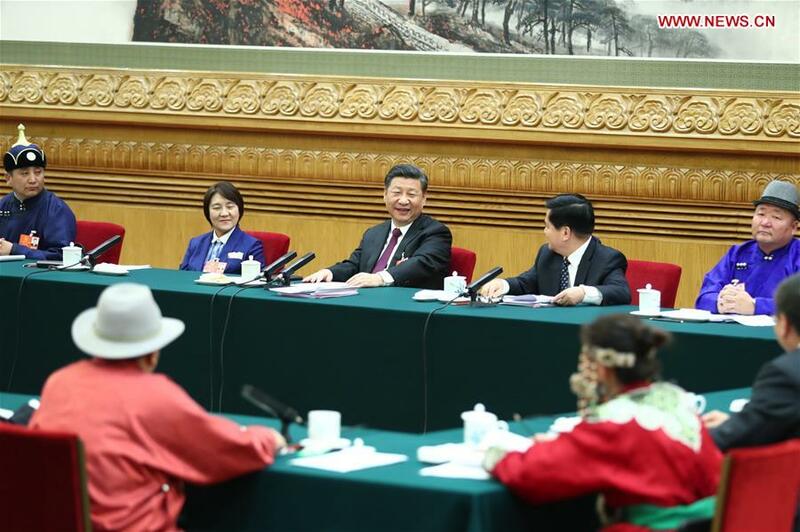 President Xi Jinping compared political ecology to natural ecology that can be easily polluted and, if damaged, will cost a huge price to be rehabilitated, at a panel discussion with deputies to the 13th National People’s Congress from southwestern municipality of Chongqing. Xi stressed that a clean and upright political ecology is an essential requirement for safeguarding the authority and centralized and unified leadership of the CPC Central Committee, an urgent need for ensuring full and strict governance over the Party, and a vital guarantee for fulfilling reform and development targets. Leading officials should demonstrate leadership and set an example, he said. 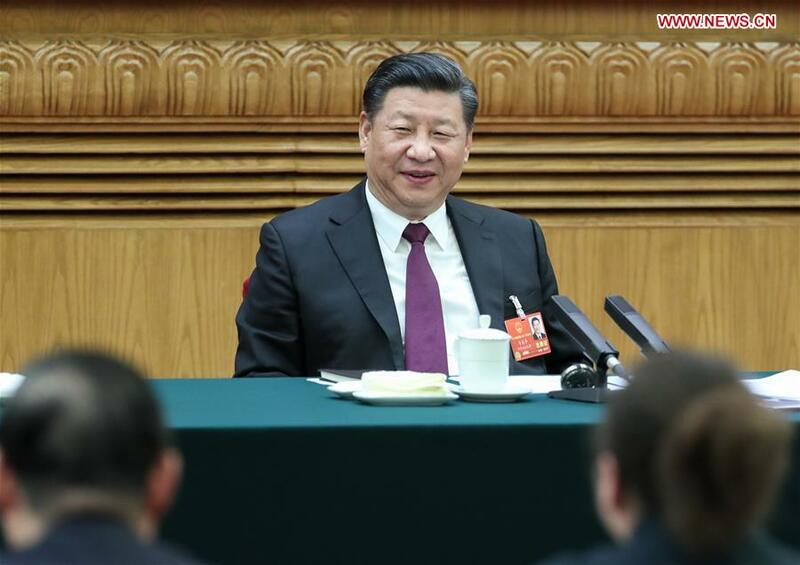 Xi urged them to uphold rule of law, oppose rule of man, hold in awe of the Constitution, and exercise their duty within the boundaries of the Constitution and laws. Leading officials should also promote core socialist values and prevent relapse of negative elements in traditional values, he said.